Did you know that above 50mph the wind noise in your helmet can reach levels of 110dB? That's the equivalent of an electric drill, and it is especially bad when riding in windy conditions. If you expose your hearing to these kinds of noise levels for any length of time you could do some severe damage to your ear drums. 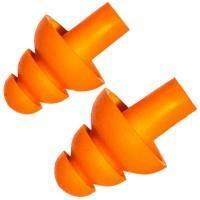 Fortunately, ear plugs are an inexpensive way to protect yourself from hearing loss. Does the style of bike you ride alter your insurance premium? Here's MCN's pick of the best earplugs on the market from the cheaper end to the more expensive. We start at the cheaper end of the ear plug market. 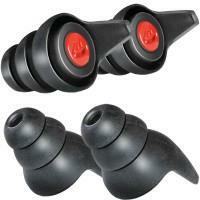 Bike It have produced a no-frills, soft PU foam ear plug that easily moulds to your ear canal. It also comes with a handy keyfob for portability. Any good? If you’re looking for a budget pair of ear plugs these will do the job - they’re basic but cheap, why wouldn't you protect your ears for the sake of £1.49? The ever-so-slightly higher priced Gear Gremlin Rocket Ear Plugs are great value for money. They are 100% PVC free and come with a handy little nubbin allowing them to be slipped easily in and out of the ear. The plugs also have an air pocket in the tip to provide extra cushioning and increase comfort. Washable, re-useable and come with a handy little carry pack - what more could you need? Some of the highest quality ear plugs we’ve found - the Oxford Earsoft FX are excellent for long rides and will help protect your hearing from wind and other noise inducing factors. Made from an environmentally friendly polyurethane foam material that gives distributed pressure and a good seal to stop noise from getting in. 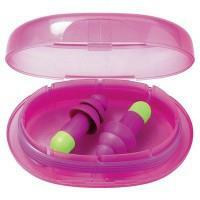 These ear plugs also come with a handy case to keep them stowed safely whilst not in use. Probably some of the most technologically advanced ear plugs you can find on the market… if that’s saying something! The Auritech biker ear plugs are made using patented ceramic filters that offer maximum protection from dangerous external noises - such as wind, engine and road. However, they are designed so you can still hear sirens and horns audibly and even hear conversations with them in. They’re washable, reuseable and comfortable to wear. Certainly up there with some of the pricier ear plugs, however, you get a very good quality product and accessories for your money. The set includes 2 medium and 2 large earplugs as well as 2 filters - making sure all motorcyclists can achieve a good fit. The filters included with these ear plugs prevent ears from overheating or feeling blocked and help to minimise irritation as they allow for air-flow into the ear.This also ensures that they don't affect your balance. The Pinlock ear plugs will help to filter out wind noise and other external dangerous noises while still allowing you to hear sirens and horns effortlessly. Like the Auritech, Pinlock are washable, reuseable and comfortable to wear. Yes you will pay a bit more for them but for comfort and protection they’re excellent.